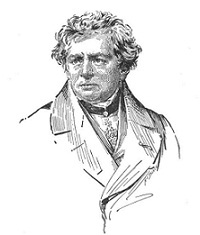 Ohms law is the relationship between Voltage, Current and Resistance the effect was first shown by a German physicist Georg Simon Ohm. What ohms law shows is that if you were to increase the Voltage applied across a conductor you will see proportional change in Current providing the Resistance remains the same. Similarly if you increase the Resistance and retain the same Voltage you sill see a drop In Current. So you can see right away the importance of remembering this law when dealing with electrics. So lets see if we can put this into practice the circuit below has an applied voltage of 30 Volts with a 12ohm Resister in the line lets see if we can work out the current. Using the Triangles below imagine the green circle is your thumb now we are looking for Current so if you cover the (I) we can see in order to find what we are looking for we need to divide 30(V) by 12(R) which is equal to 2.5. So the current flowing within the circuit would be 2.5 amps. Remember the formulas below the triangles you will likely have to use them in your 202 exam.